As companies look to streamline operations, Safety responsibilities are often reassigned. With this trend comes the need to be innovative in your approach and focus your attention on the activities that can keep your organization in compliance and keep your employees safe. All successful safety programs comprise key elements, including Accident Investigation/Corrective Action programs, Culture, Training, Hazard Identification, Management of Injuries, Loss Analysis, Safety Management Systems, Loss Prevention, and the use of Technology. 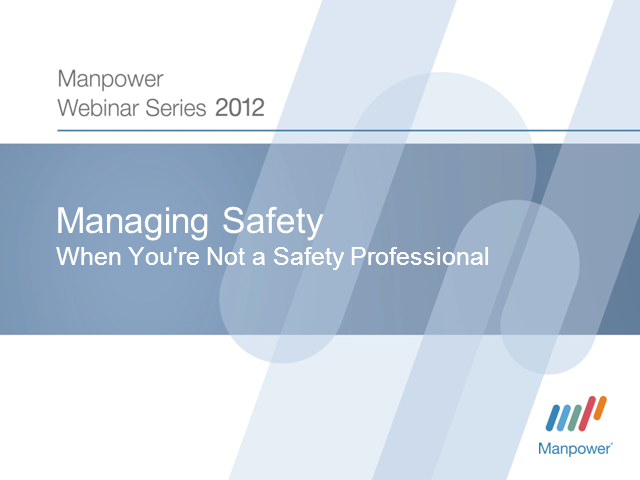 Join us for Managing Safety—When You’re Not a Safety Professional, a valuable session that will provide participants with specific guidance on the implementation, management, and evaluation of each of the key elements driving successful safety programs. Specific attention will be given to cost savings and ease of management. The presentation is designed for non-safety professionals (Engineers, Facilities Managers, Human Resources Professionals, Plant Mangers, Quality Engineers, Supervisors) that are managing safety programs.